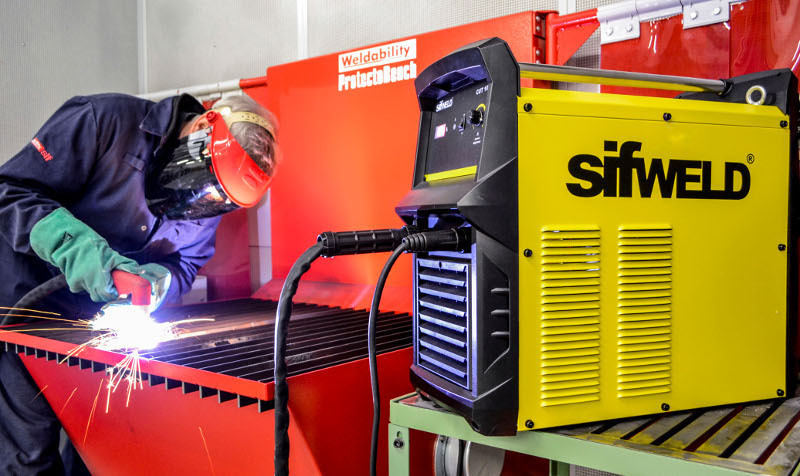 Whether you are looking to buy equipment for your own business, or seeking an affordable finance solution for your customers, Weldability Sif Leasing makes it easier to access the welding power you need, now. You choose the equipment, you choose the term. • Available to Limited Companies, LLPs and PLCs. • All Quotes are 'Subject to Status'. • Minimum Value £1000 + VAT. By leasing, you can secure immediate access to the welding, cutting or fume-extraction equipment you need, but make payments over a period. An ideal option for businesses who prefer operating expenditure to capital investments. Weldability Sif Leasing is provided by an approved 3rd-party, and the application process is both transparent and consultative, to ensure you are able to make an informed decision. Explore your leasing options today, and start using brand new equipment tomorrow. Please fill in the relevant form(s) below, including description of equipment, or Weldability Sif Quote Reference. Rentals are calculated automatically and are payable monthly in advance by Direct Debit. The weekly and daily rental costs are shown for illustration purposes only.